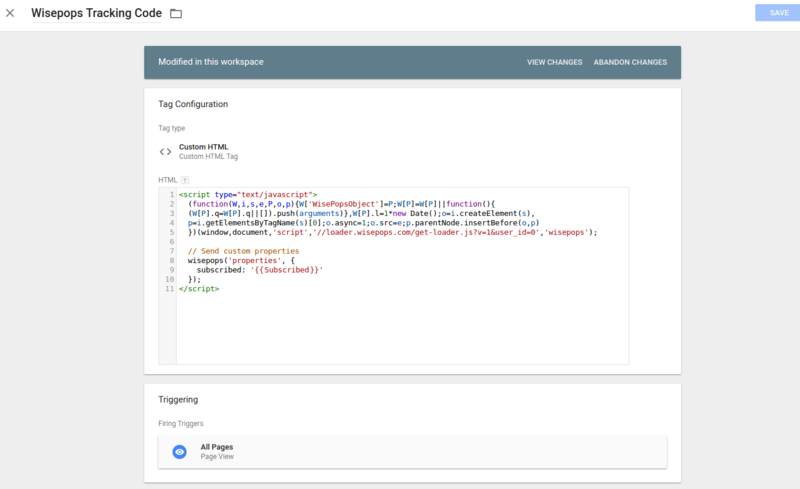 If you already created custom variables in Google Tag Manager, you can use them in WisePops. And this is what your tracking code would look like in Google Tag Manager. You can then use that new variable in your custom conditions to make sure your campaign is displayed to the users who have not signed up yet.